Smartwatches are very much a mainstream tech category now, with top wrist wearable companions from the likes of Apple, Fitbit, Samsung, Fossil, Tag Heuer, Garmin, Huawei and LG helping to create a boom in popularity… 35 million smartwatches are expected to be bought in 2018. But, what is the best smartwatch? It’s tougher than ever to choose the best smartwatch but, with both fashion brands and the traditional tech powerhouses all with smartwatch models on sale, there are plenty of different smartwatches to choose from – across all budgets. 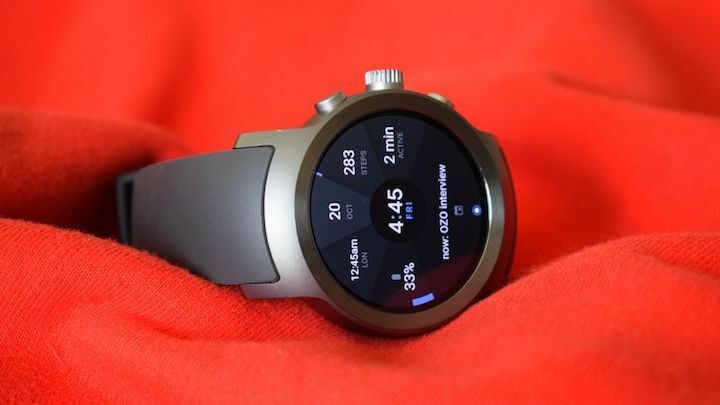 So, whether you’re looking for the top fitness smartwatch, the best smartwatch for your iPhone, the pick of the Android Wear bunch, or simply a good smartwatch for less than $200 there’s bound to a a smartwatch that suits you. 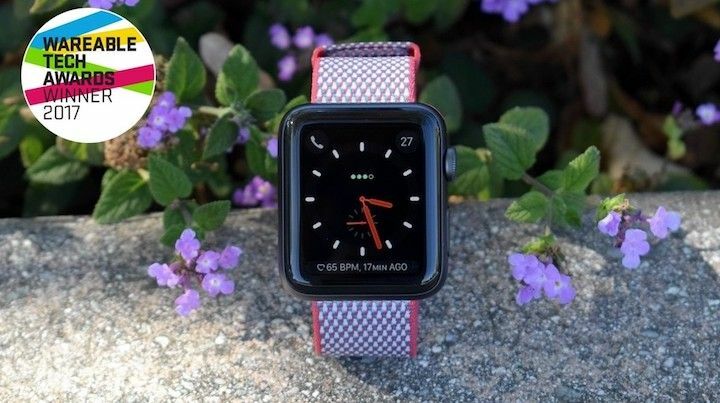 Part smartwatch, part fitness tracker, and a much, much better wearable than what we first got in 2015, the Apple Watch 3 is still far from perfect and Android Wear has caught up in terms of features, technology and style, but as far as the overall smartwatch experience goes, Apple is still doing the best work here. This is Apple’s first cellular smartwatch, letting you cut the invisible tether to take it out sans iPhone and still make/receive calls, get texts and all other notifications you would on your phone. The Series 3 is also heavily focused on fitness, with built-in GPS that we’ve found to be impressively accurate, and 50m waterproofing so it’s one of the best smartwatches for swimming as well. The Apple Watch Series 3 is about those windows through the day where a cellular watch can be freeing. It’s not yet time to ditch the smartphone, but Apple makes a more convincing case for a standalone smartwatch than any other company has so far. Feature check: GPS, swimming friendly, Apple Pay, 2 day battery, heart rate monitor. With the Ionic, Fitbit finally delivered its first smartwatch, but perhaps more importantly to some, its best fitness tracker too. Running, biking, swimming, weight lifting – the Ionic has algorithms for tracking a range of different workouts, and in our testing it’s proven to be impressively versatile. 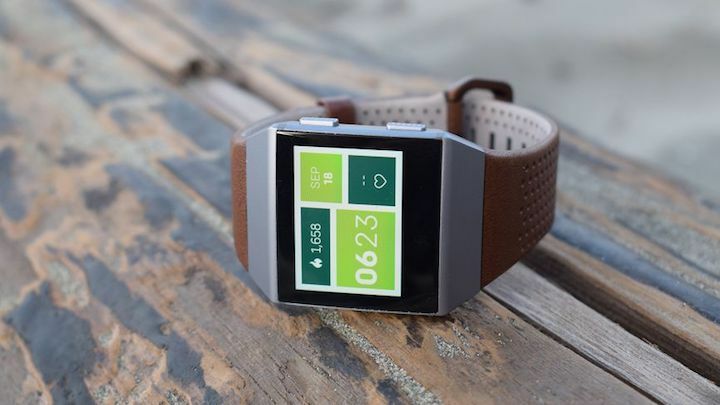 Fitbit says the Ionic’s GPS is better than anything else on the market, and we have to say it performed admirably in testing, while the four-plus days of battery life mean you won’t be taking it off your wrist as much as any of the smartwatches above. The Ionic doesn’t have the option of a cellular connection, however, so you won’t get the standalone functionality you get with the Apple Watch Series 3 or the Samsung Gear S3. As to whether this is a bad thing or not, it depends if you class LTE as a feature or an excess. Overall, some blemishes aside, the Ionic is a decent smartwatch that Fitbit fans and fitness trackers will really appreciate. Fitbit knows fitness, and it’s not half-assing this that’s for sure. Feature check: GPS, heart rate monitor, onboard music, dedicated sports modes, Fitbit Pay. 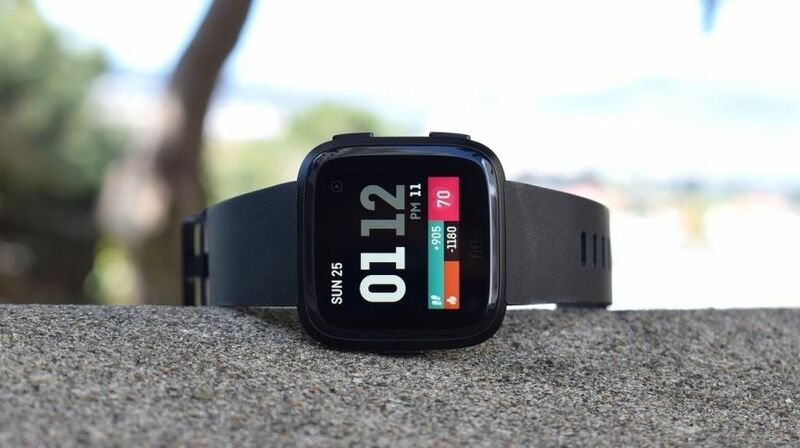 The Fitbit Versa is the company’s second smartwatch and along with a change in design direction, crucially it’s available at a more affordable price than the Ionic. The Fitbit Blaze replacement looks more Pebble than the first Fitbit smartwatch and comes in a host of different finishes and with a big collection of bands to mix up the look. It promises all of the same fitness and sports tracking features as the Ionic although the big omission is the lack of GPS. If you want to track runs and rides, you’ll need to have your smartphone with you. Fitbit OS 2.0 brings a new-look UI that offers more insights into your daily data and quick reply support for messages for Android phone users (iOS support coming at a later date). You can still download apps and a whole lot of watch faces, pay from your wrist using Fitbit Pay and tap into Fitbit Coach, while new women’s health tracking has also been introduced for the first time. It’s the best Fitbit smartwatch so far and if you are not bothered about the lack of built-in GPS, we think you’re going to like it. Feature check: Waterproof, heart rate monitor, sleep tracking, Fitbit Pay, notifications, App store, women’s health tracking, connectedGPS (with smartphone). The flagship model for the Android Wear 2.0 launch in early 2017 but, even now, still feels like the best Wear watch on balance. With GPS, LTE and NFC for Android Pay on board, the LG Watch Sport is more rounded than its sibling, the LG Watch Style. Beyond outdoor workouts like running, it can keep track of reps in the gym, which is a surprising and welcome addition, and it’ll track heart rate in all your activities. However, it’s only water resistant to 1.5 metres for 30 mins, which makes it unsuitable for swimming. It’s also very bulky. 46mm wide might not sound like much, but then you have the depth, and there’s a lot of it here. In fact, if we had to pick one criticism of the Watch Sport it’s that it crams so much in, it does so to its detriment. 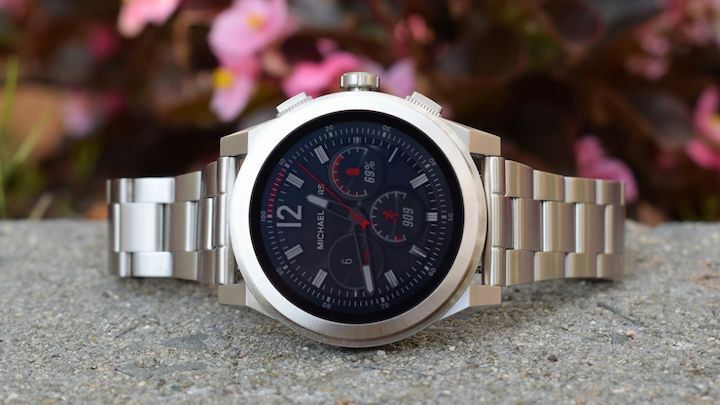 The size will be too overbearing for many, and the LG Watch Style is worth a look, but the pay-off in size means that most of the great features of the Watch Sport have been discarded. Finally, the screen really impresses with the 1.38-inch, 480 x 480 OLED display using its 348ppi to best the Apple Watch Series 3 and others. Feature check: GPS, LTE, NFC, Android Pay, heart rate monitor. Compatible with Android and iOS, the Gear S3 is an improvement on the Gear S2 in all ways but one: the design. Or at least we think so; you might disagree and prefer that bigger, bunkier look. While it might look more like a classic watch than the S2, it’s also much bigger – 46mm wide. However that larger body affords it a screen where Tizen can really shine, and a bigger battery, from which we’ve managed to squeeze an average of three days from – much better than anything in the Android Wear stable or from the Apple Watch. 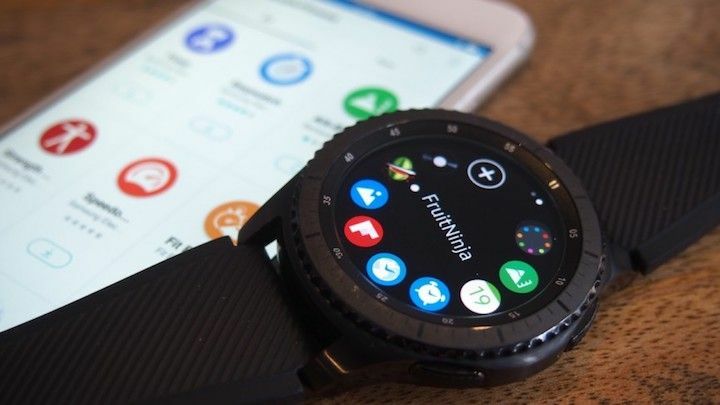 Samsung treads between smartwatch and fitness tracker, also packing in a heart rate sensor along with that GPS and its much-improved Samsung Health software. There’s the option of LTE too if you wish for an untethered connection, with a standalone speaker for taking calls on the watch. It’s not quite the ultimate fitness all-in-one thanks to a lack of proper waterproofing, which makes swimming out of the question (check out the newer Samsung Gear Sport if that’s more you bag) and the poor app selection puts it behind its rivals in terms of versatility but strong individual style, the intuitive rotating bezel and great battery life mean it’s keeping ahead of anything from Android Wear in our list currently. Feature check: GPS, Samsung Pay, Tizen, heart rate monitor. Last year’s Bradshaw and Dylan watches just missed the mark but the Access Grayson is more fashion-conscious. There’s no denying that the Grayson wants to stand out, and fans of a more “dressy” or bigger watches will probably find it a better fit than those who like to keep their wristwear understated. One of the most immediately noticeable improvements is that the flat tyre, a blemish on last year’s designs, is gone, with a nice 1.39-inch, 454 x 454 pixel AMOLED display. There’s often criticism for smartwatches lacking a heart rate monitor or GPS, but unless you’re someone who runs with their expensive stainless steel watch on the regular, we don’t see it as a problem. However the lack of NFC, and therefore Android Pay, is a definite black mark. We’ve debated over whether Google should make NFC a minimum standard across Android Wear, and we do see both sides of the argument. But with a watch like this, it feels like a big missed opportunity in lieu of fitness elements – especially with the extra shortcut button. Feature check: MK customised displays, IP67 water resistance. 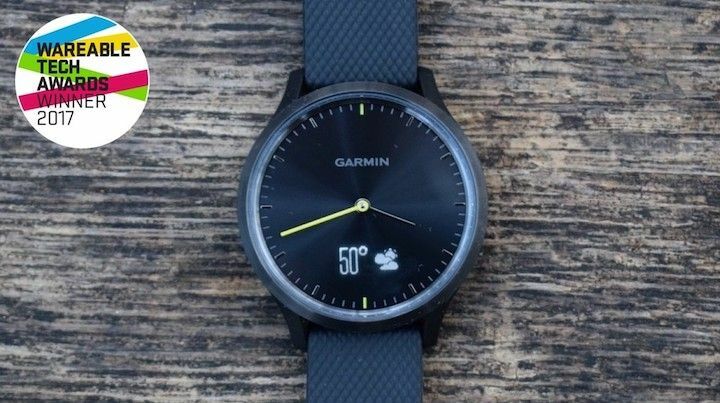 Garmin has been putting out go-to smartwatches for sports lovers for a while now. Running, cycling, swimming, golf – Garmin has had us well and truly covered. Despite the Forerunner name, the 645 Music is more in the mould of the Vivoactive 3. 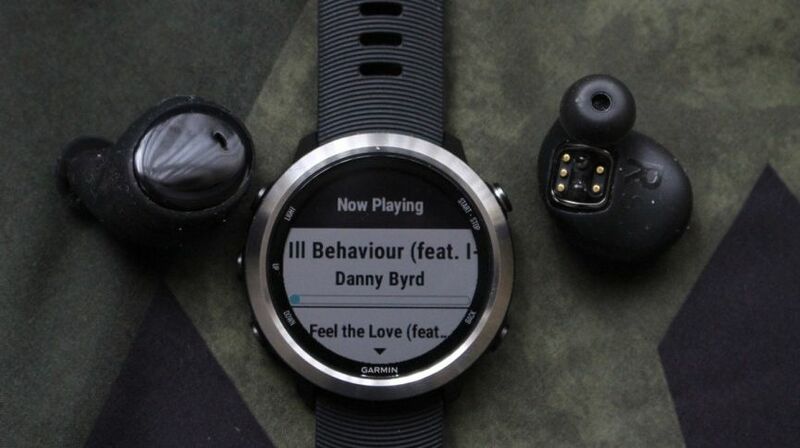 It’s got the same look, for instance, but there is a big difference: Garmin is bringing the music this time. This helps make the Garmin more of a smartwatch rival to the Apple Watch, Samsung Gear or Fitbit Ionic than before. While you’re not getting Spotify or Apple Music here, you are getting enough storage for 500 songs with a process that’s fairly easy. You just boot up Garmin Express, select the Music tab and choose which of your own music you want to port over. If you do want to sync over playlists from a streaming service, your only options are iHeartRadio and Deezer. That same attractive stainless steel design is here. The 240 x 240 pixel display at the heart of the body is by no means the brightest or vibrant you’ll find, but crucially delivers strong visibility in most workout conditions whether you’re sweating it out indoors or outside. However, there is no touchscreen or touchpad here, you’ll have to resort to pressing some buttons – that could be a dealbreaker for some, but we’re sure it won’t be a massive one for most. As far as the number of sports available to track: while it’s more of the same, there are some notable exclusions – like golf tracking and open water swimming (pool swimming is a there though). Heart rate monitoring is decent if not class-leading, and it won’t keep you waiting around for a GPS signal. There’s also all the stress tracking goodies from Garmin’s fitness trackers, too. As multi-sport smartwatches go, this is the best in our eyes, and builds on all the good work Garmin did with its previous iterations. Feature check: Works with iOS and Android, GPS/GLONASS, heart rate monitor, dedicated sports modes including swimming, Garmin Pay, music storage, Deezer/iHeartRadio playlist syncing. If you want a fantastic blend of design and smarts, then the Vivomove is your best bet – it’s our choice for the best hybrid smartwatch you can buy right now. The Vivomove HR offers watch designs for both men and women, adding a discreet display that only appears when you tap on the watch face. It’s also waterproof up to 50 metres so you can take it for a dip too. On that nicely disguised display you’ll be able to see fitness tracking data, check in on your heart rate readings, view your smartphone notifications and even check on your stress levels. It’s essentially the Garmin Vivosport fitness tracker minus the built-in GPS in a much sleeker and stylish body. Battery life is two weeks in watch mode and five days when you’re taking full advantage of the smartwatch features. On the whole, it’s a winner – quite literally: it picked up the best hybrid watch award at the 2017 Wareable Tech Awards. Feature check: Works with iOS and Android, Heart rate monitor, run tracking, notification support, two week battery life. It’s a new year, which means time for more full fat and hybrid smartwatches and we already have some new timepieces to keep a look out for. We’re expecting some announcements at Google I/O on the future of Wear OS, now that’s its been rebranded, which will hopefully include some new smartwatches. 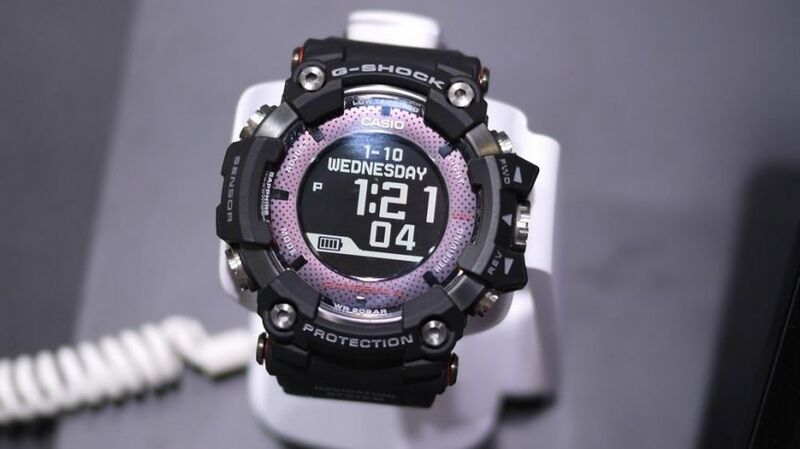 Meanwhile Casio has two hybrid watches dropping in 2018, including the solar powered GPR-B1000that packs built-in GPS. Football fans have the Hublot Big Bang Referee landing in time for the World Cup, and we expect a Huawei Watch 3some time in the not-too-distant future. Oh, and let’s not forget Samsung and the long-overdue Gear S4 – expect that later this year. So there’s plenty to look forward to, and you can bet there’ll be plenty more announcements before the end of the year.